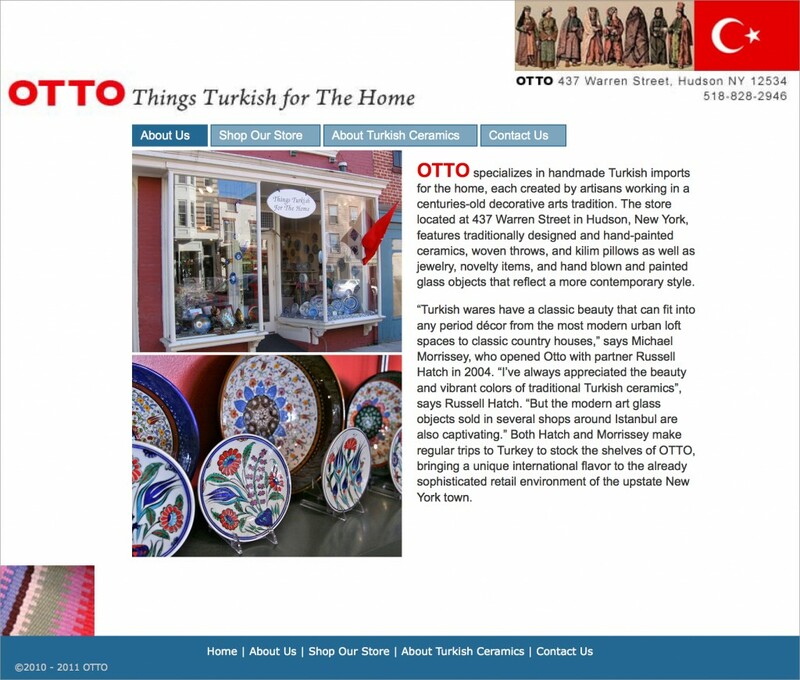 Otto is a store in Hudson, NY that specializes in handmade Turkish imports for the home. 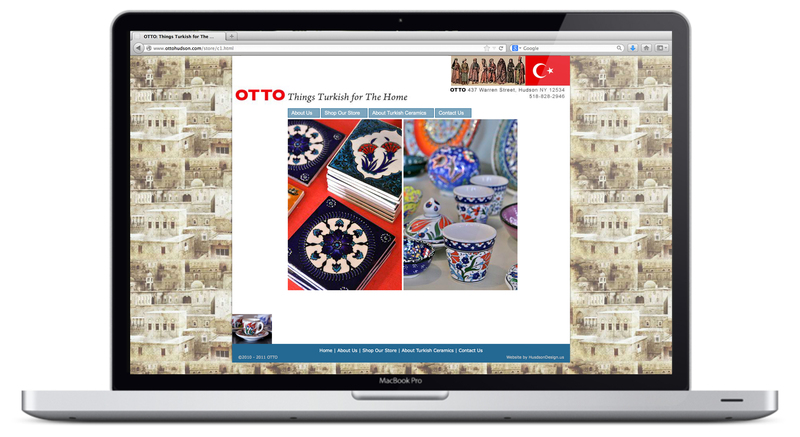 Otto features traditionally designed and hand-painted ceramics, woven throws, and kilim pillows as well as jewelry, novelty items, and hand blown and painted glass objects. 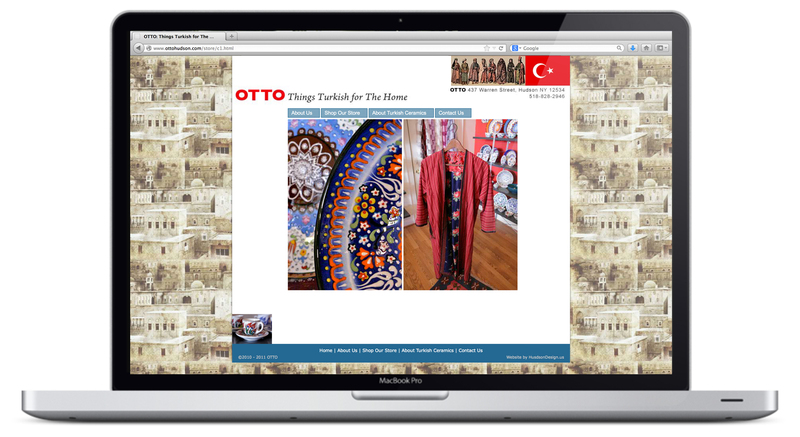 The website Hudson Design created for Otto reflects the feel of the store and also enables e-commerce. 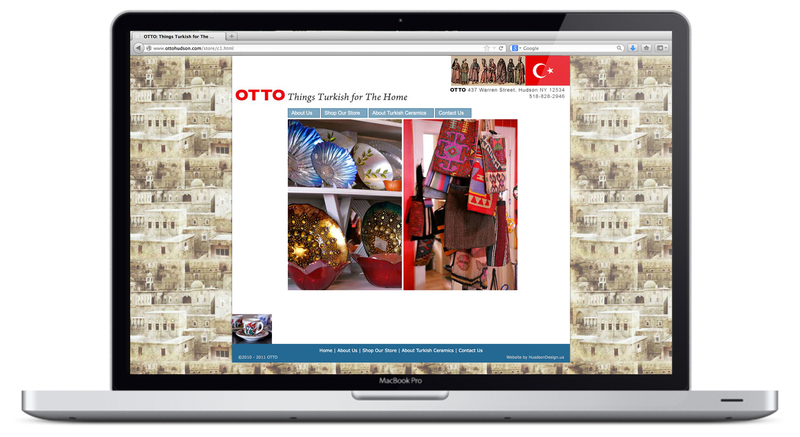 The homepage features a flash animation with detailed photos of the store’s offerings. Icons and background have a Turkish theme.